I have been trying to make a happy home for a Kalanchoe (pronounced “collin-co-wee”) for years but without much success…and now I know why. 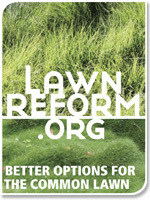 Admittedly, I could have solved the problem by doing a bit of reading but no, I depended on my own gardening knowledge and tried to apply what I knew. Of course, now that I have a success story to tell I finally did some reading and what I read didn’t totally agree with what I did…go figure. Here’s what I can tell you about these interesting plants from Madagascar. They are succulents so they need full sun and little water (water thoroughly only when the soil feels dry) and they are great indoor flowering plants, featuring clusters of small flowers that last for months (if you know how to keep them blooming, that is). Commonly available varieties have orange, pink, red, white, or yellow flowers. 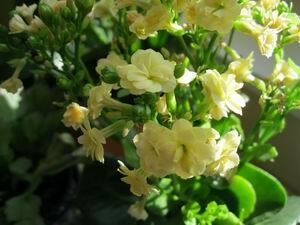 An important thing to remember is Kalanchoe that have spent their blooms can be kept for their foliage…but why bother since they are neither interesting nor attractive. Kalanchoe are short-day (actually, long night because plants measure the duration of darkness, not daylight) plants, that is, they begin to make flowers when the days are shorter than 11 hours. From then on it takes about 3-4 months for the flowers to develop. Consequently, they bloom in winter but they are found in stores at other times of the year (I purchased mine in July). Attempting to make these plants reflower the following year is more difficult that bringing back a poinsettia after its summer rest. Now, here’s how I have managed to keep the plants in bloom for the past four months. My instinct was always to prune off dead flowers by cutting them off with their stems. Wrong. 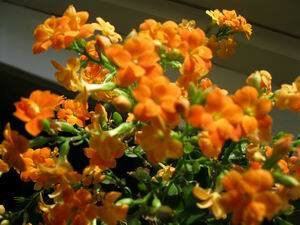 To keep Kalanchoe blooming pinch off only the dead flowers and then keep checking the flower stems. Remove only those stems that start to shrivel, showing no signs of new growth. However, most flower stems will branch and continue to produce flowers month after month. The growth just gets taller and taller and it is amazing and fun to watch this happening in the middle of winter! Kalanchoe is my new favorite plant…this week. Can you please be a little more clear on pinching off just the flower, is it possible to get a picture of the pinched off portion? I will email your question to the author of that post. She’ll be able to tell you what to do.